Her Majesty The Queen opens the new creative arts building. 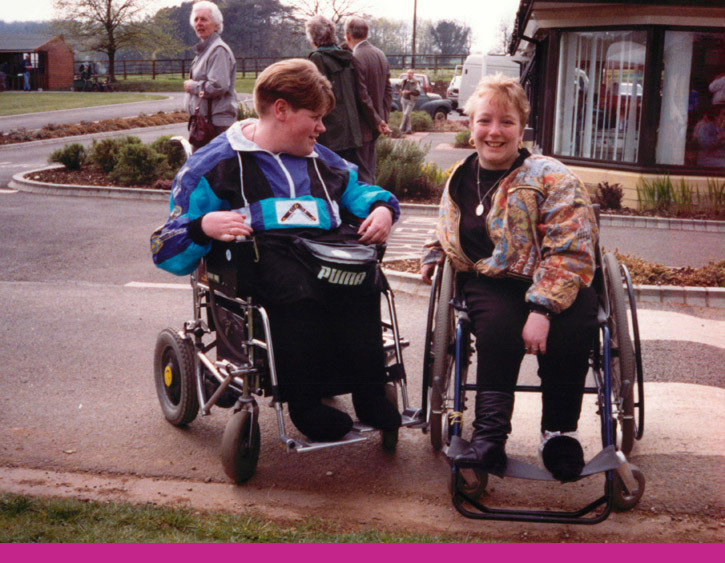 Two former National Star students win medals at the 1992 Summer Paralympics. Paul Hughes wins silver in the 100m and Alan McGregor wins three bronzes in the swimming. To reflect its changing curriculum, National Star changes its name to The National Star Centre College of Further Education. National Star student Richard Kilburn sets a new British record at the World Junior Weightlifting Championships. National Star launches a BTEC Diploma in Performing Arts. National Star receives a Regional Training Award for our programme which enables students to move confidently into employment. Overton House in Cheltenham is leased to provide community-based additional accommodation for 25 students. The Starbase Learning Centre opens. It is specially equipped for students with severe disabilities. The gymnasium complex is redeveloped to provide a Physiotherapy and Health Suite and Projectile Alley. National Star hosts the first National Conference on how people with disabilities can benefit from new learning technologies. The Centre for Acquired Brain Injury and Rehabilitation opens.